If you're hoping to play Final Fantasy VII Remake for PlayStation 4 and Kingdom Hearts III for PlayStation 4 and Xbox One anytime soon, director Tetsuya Nomura says you need to pump the brakes. Nomura was previously on the long-running development of Final Fantasy XV, before moving to Kingdom Hearts III and Final Fantasy VII Remake. In an interview with Famitsu (from Hachima Kikou, translated via Gematsu), Nomura admits those games aren't right around the corner either. "While I can't make a sweeping statement because the development process is different from what we've done so far, there are still worlds untouched. Production is progressing on unannounced worlds, in a state that we cannot show them off. In terms of the state of development, there is still some way to go," replied Nomura when asked about Kingdom Hearts 3's development. 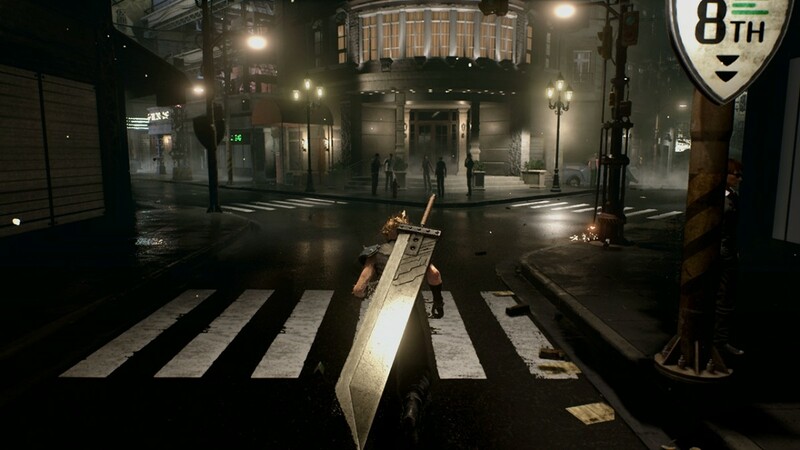 His answer was rather similar for Final Fantasy 7 Remake, the episodic project that is intended to present one of Square Enix' classics to a new audience. "We're steadily progressing on production. While we are making them, I apologize that the wait will be be a bit longer for Kingdom Hearts III and Final Fantasy VII Remake. I am very sorry, but to that degree I will make a game that will meet your expectations," said Nomura. "Last year, I didn't put out much information on either title, but this year I want to show our progress at an event somewhere. The release of the titles themselves have still have a way to go. But there are many titles releasing this year, if you can wait for any 'surprises.'" Hopefully, the production schedules of Final Fantasy 7 Remake and Kingdom Hearts 3 aren't as long as their older sibling. FF7 Remake is an episodic project precisely because the game would take forever to complete as a single release. At the very least, we should see something from each game this year, as it's the 15th anniversary of Kingdom Hearts, the 20th anniversary of Final Fantasy 7, and the 30th anniversary of Final Fantasy.